Here's another feminine hero that saves the day in Forbidden Secrets: Alien Town. The game takes you to a town you never heard of before. And that is the place of mysterious transformations that could scare off many but a government agent. There is a good amount of hidden object levels. They are well thought through. It is a well known fact that too much TV is bad for you and especially fr your kids. Forbidden Secrets: Alien Town proves it by telling you a story of a town where children are turned into zombies. What?! Yes, that's exactly what's going on. Parents may use this game as a preventive tool for their own children. Well, our hero Clarissa is not afraid to step in and solve the problem. 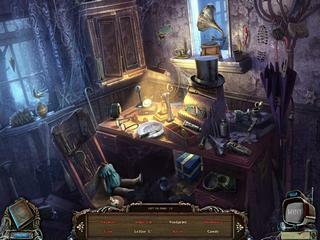 The game's audio-visual presentation is perfect and impressive with its quality. The graphics are dark and eerie enough, and at the same time they are not too dark to hinder you from finding whatever you are required to. There is a good amount of hidden object levels. They are well thought through. There are also mini games that are fun to play. They are not extremely challenging. The whole game take several hours to complete, which is awesome and what a collector's edition should really be. 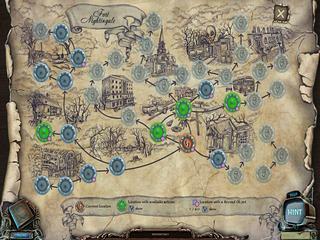 There's a map to help you find your way through the game and some of the morphing objects that you need to find. The game is perfect in its all aspects. Check this out for yourself and see if you want it in your collection! I read THE HOBBIT and LOTR every year, a tradition that has been ukebonrn for over 15 years now. When I argue with people about the movies one of their defenses is: The books don't have a lot of action, a movie needs more action. Not true at all. There are plenty of scenes that are fairly graphic: Legolas shooting an arrow straight through a wolf's throat as it was in mid-air, Gimli hewing the legs off an orc that jumped on Balin's tomb, etc. So a graphic game would not be too far a detachment. But as for what Tolkien himself would have thought? As much as I worship the man, he was a real fuddy duddy. He vehemently resisted the publishing of his books in paperback form. It wasn't until a fiasco in the 1960's where someone in the US re-wrote THE HOBBIT, printed it in paperback, began selling copies on university campuses and the publisher had to sue and all that did he finally concede. While he was alive all paperback versions had to have a personal message from him printed on the back cover about that book being the legitimate copy (my dad's old copies have this message). So no, I don't think he would approve of this game, he probably wouldn't approve of video games in general. But he would have had a bigger cow over the movies and how each printing of the novels since the movies came out omits two paragraphs, one of which specifically explained why THE TWO TOWERS is titled The Two Towers. Tolkien's real reason for the title conflicts with the movies' explanation for the title. This is Forbidden Secrets: Alien Town review. Download this game here.